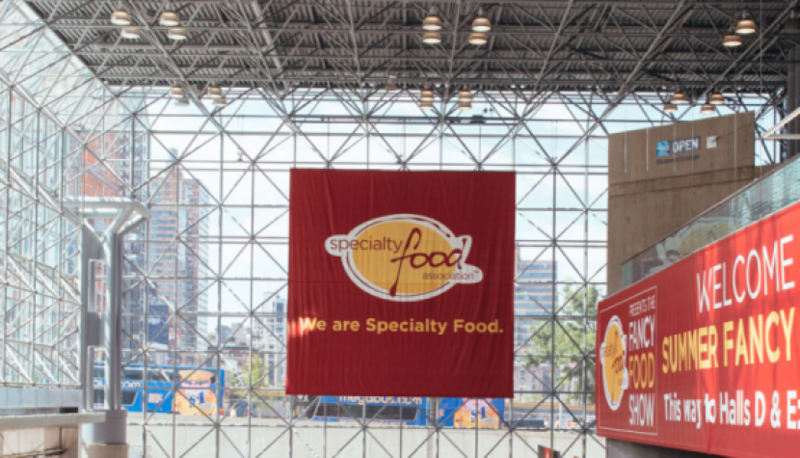 64th Summer Fancy Foods Show shines a spotlight on specialty foods and emerging CPG brands. 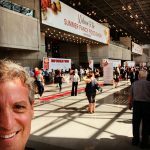 The 2018 Summer Fancy Foods Show in NYC does not disappoint. Overwhelm? With over 2,600 exhibitors covering 320,000+ square feet of exhibit space? Maybe a little. But there is a lot to be excited about walking the show. The depth and breadth of food product lines are impressive. From the ordinary cupcake to macadamia nut milk to fermented food products, this show provides a local-to-international showcase that weaves a blended tapestry of tastes, innovation, and trends that no other show has rivaled. The Summer Fancy Foods Show made it easy to see macro- and micro-trends in action. I came away with several takeaways I thought pertinent to share with our emerging food brand audiences. An emerging food brand should use every weapon available to create a compelling “selling story” for their food-buyer pitch meetings. So it pays to keep tabs on articles and research reporting trends. This IRI report on the FMI (Food Marketing Institute) website details the disruption occurring along the parameter vs. the store center, as well as what is driving it. Health and wellness are playing a huge role in the growth of the store perimeter. The advent of organics and rise the locally-sourced food started years ago but has exponentially grown as consumers are looking for solutions to stay heart healthy and battle diabetes and cancer. 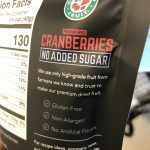 Graceland Fruit’s Premium Dried berries and fruits are gluten-free, and most are non-GMO. Many food brands in the show were highlighting their product ingredients. From no sugar to non-GMO to organic and gluten-free, sourcing has played a significant role in how food brands are leveraging consumer buying trends to gain an edge in the selling conversation. The sheer number of Summer Fancy Foods Show brands touting clean-label and ethically sourced ingredients is a pretty reliable indicator that clean = dollars. 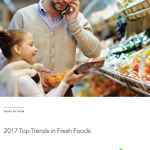 So while this trend has been growing steadily for some years, it has moved to the forefront of retail food buyers’ priorities. nother related factor to the growing power of the parameter is the rise of the Keto diet. There are many reports and studies indicating that a diet that reduces carbohydrates while increasing fat, protein, and dark green produce in one’s diet can lower and control insulin levels. Processed carbohydrates found in “center of store” or dry-goods products containing rice, grains, and sugars are reported to raise and elevate insulin levels. 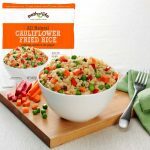 Path Of Life’s cauliflower rice products shows that cauliflower is one hot, diverse produce item when it comes to substituting carbs. 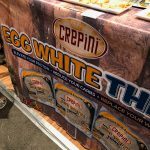 Eggs – as in very thin omelet-style – have been repurposed into crepes to provide a protein-based wheat/grain product substitute with Crepini’s new products. It seems like there is plenty of space on the shelf for emerging brands looking to break into the carb-substitute space. FMIEmerge moves to support emerging food brands. 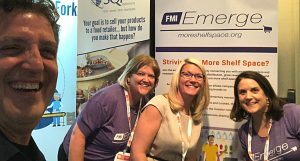 FMIEmerge had a commanding presence on the show floor. The NewPoint team met with Julie Pryor and Margaret Core, and they shared their mission as an FMI division to support emerging brands selling into retail. Stephanie and I were invited to be FMIEmerge Mentors which means we are coaching and mentoring emerging brands with webinars, posts, outreach and one-on-one calls. I could not be more proud to be a part of the FMIEmerge mentor community! It helps that the NewPoint team lives and breathes food industry marketing and sales for our clients every day!